Hamilton May presents a comfortable custom-designed and luxuriously finished apartment in Wilanów. Hamilton May has the pleasure to present a spacious three bedroom apartment in Miasteczko Wilanów. 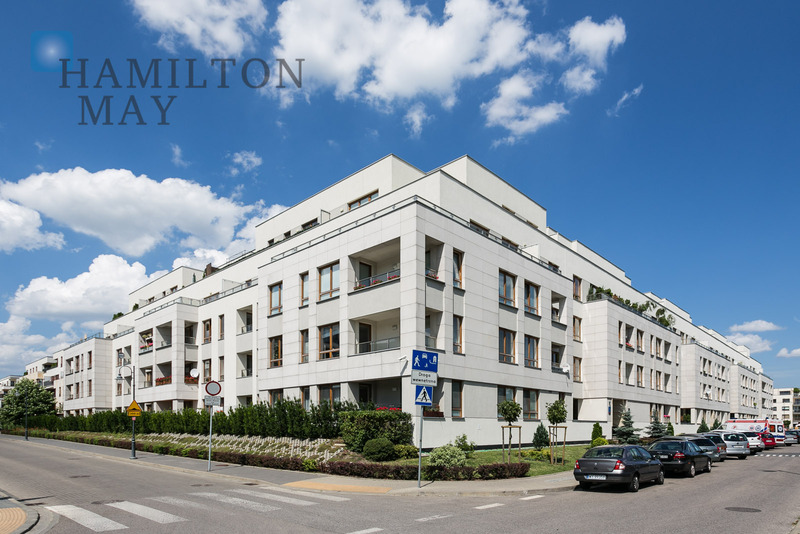 Hamilton May is pleased to present an elegant, luxurious two bedroom apartment available for sale in Miasteczko Wilanów. Hamilton May has the pleasure to present a modern style apartment with a garden in Miasteczko Wilanów. Hamilton May has the pleasure to present the biggest new residential complex in Warsaw, located in the area of Wilanów district, in the southern part of the city. Miasteczko Wilanów is one of the biggest residential projects in Europe - the project started in 2002 and since that time with engagement of many developers it has become a complex inhabited by over 10 000 people, located on the area of around 170 ha. Miasteczko Wilanów complex is located in southern part of the city, in a peaceful environment close to the famous Palace of Wilanów. There are many green areas nearby the complex incuding Park Ostoja Wilanów. It offers good connection with the city center and office centers in Wilanów and Mokotów, as well as very well developed local infrastructure, including various shops, restaurants and various service points. Miasteczko Wilanów offers a wide diversity of apartment types and size, ranging from 40m2 to over 250m2. Thanks to different developers' projects located in the complex it is possible to find apartments perfectly sutiable for ones needs.